Home edible termite on sale. 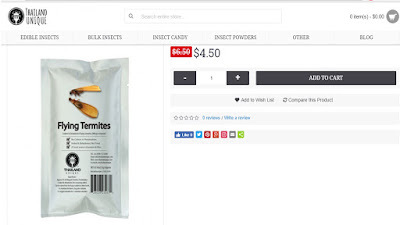 food blog helensfood thailand online store winged termite Winged Termite on Sale? Wow! I was posting content on my food blog and had the need to look up a term on Google. Guess what I saw? Well...my post was on edible flying termites, (a.k.a aku in Igbo) which I prepared on 14th July, 2016. 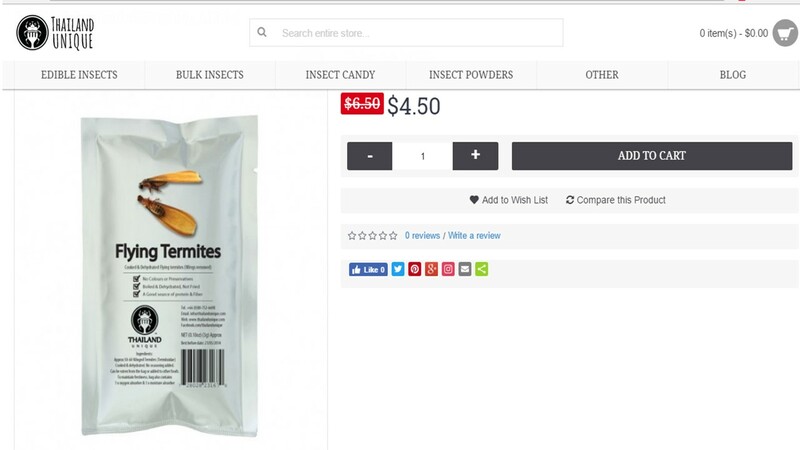 As I looked up the term to hyperlink, I bumped into this Thailand Online store where termites are being sold. You know how these things are. The fact that we prepare them at home so cheaply, we never think some persons could take it seriously as to distribute them. What am I even saying? Afterall there is nothing that is not sold online these days, ranging from garri, pepper, maybe uziza? Lol. Well, the picture below says it all. Just in case you want to be sure, click HERE for the online store link. Then, for the recipe, follow www.helensfood.com or click on the permalink.